Finding a decent restaurant for lunch on Queen St. West today was a challenge. With a winter storm in full effect most restaurant owners have closed their doors to the public. After walking for almost an hour I was about to give up when I suddenly smelled the aroma of crepes in the air and found myself outside Cafe Crepes. 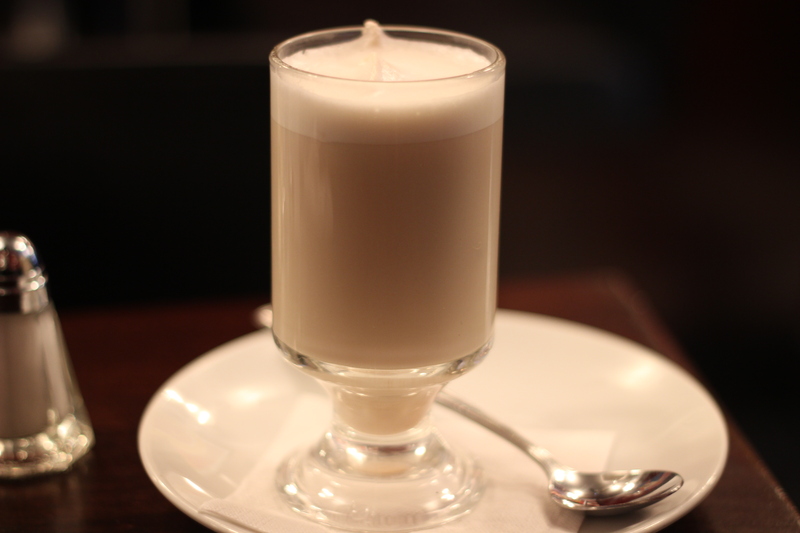 I was warmly welcomed in and immediately ordered a café latte to warm up. I don’t have a sweet tooth so my focus was on the salty crepes. What to choose? Le Club(Chicken, swiss cheese, bacon, tomato, mayonnaise) or their famous chicken melt (chicken, swiss cheese, mushroom, tomato & sweet onion aioli). None of the above. 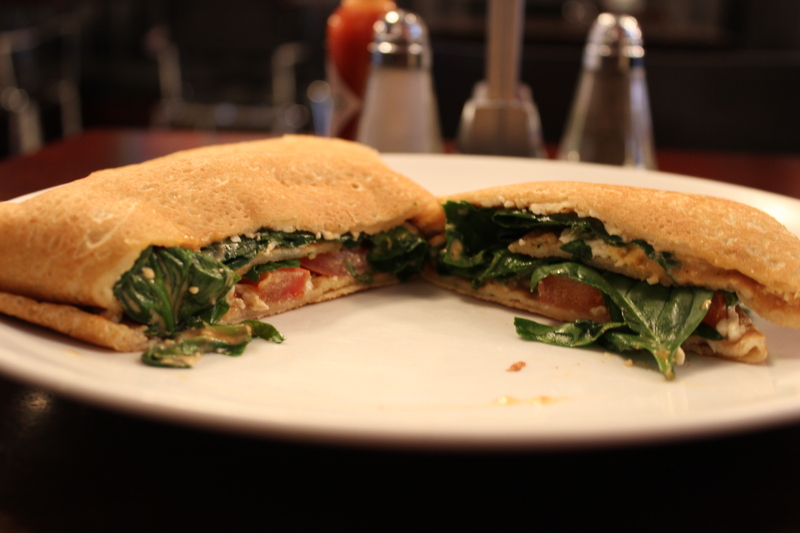 I ultimately went with the Chris’s “some like it hot” (spinach, feta cheese, tomato, sweet onion aioli & tabasco sauce). I was very pleased with this crepe. The size was just enough for lunch, and it was fully loaded. 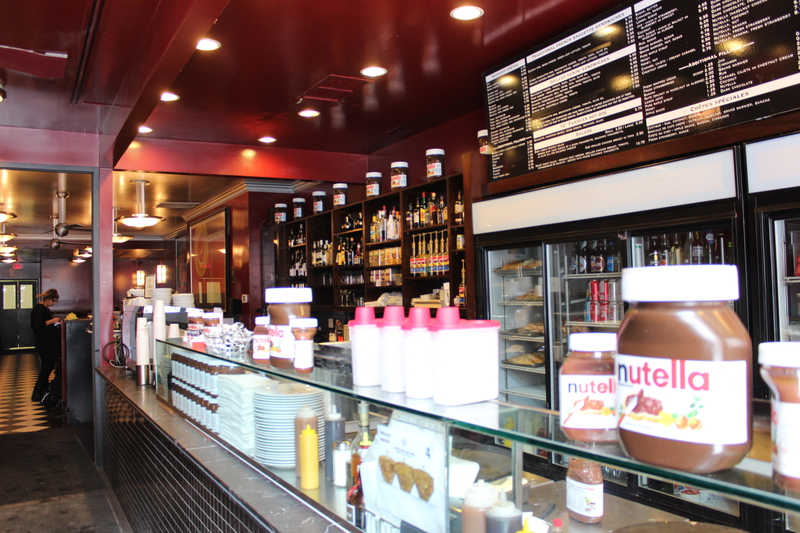 Cafe Crepes has a wide selection of crepes. Fast and friendly service. Trendy and bustling atmosphere. 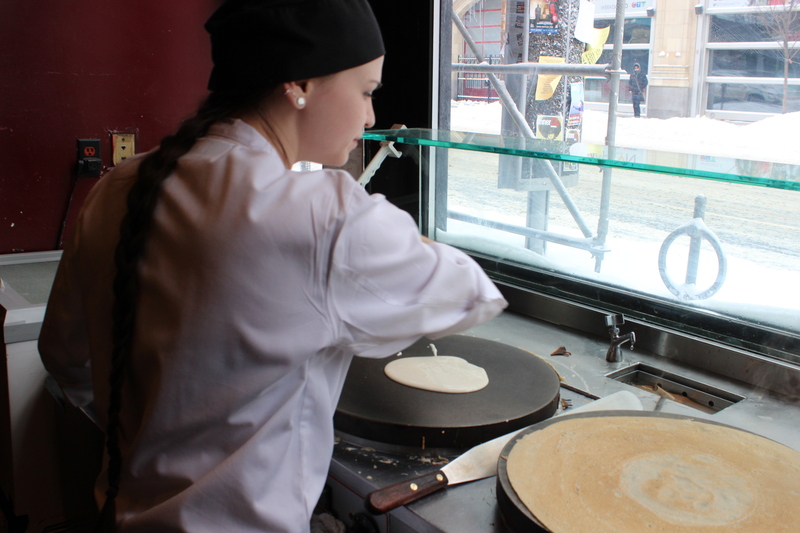 One of the nice things about this restaurant is that you can see them making your crepe while you wait. 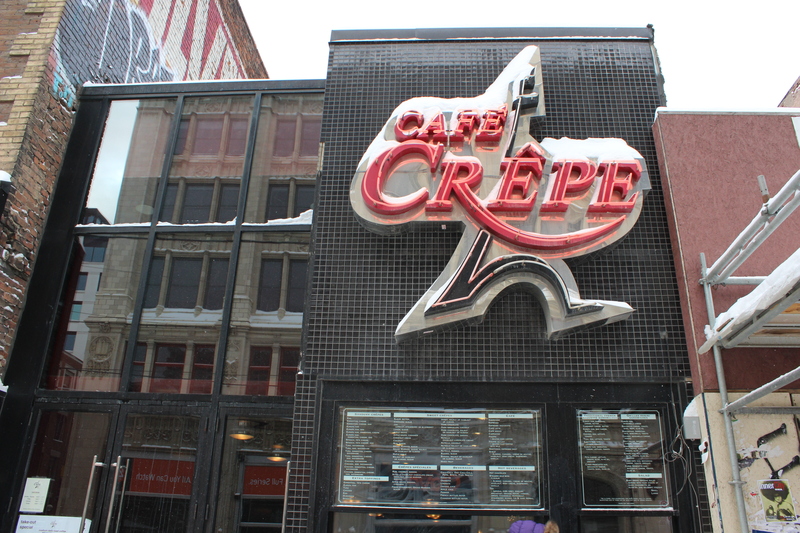 Cafe Crepe is located at 246 Queen Street West, just steps from the corner of Queen and John, serves fresh sweet and savoury crepes. The kitchen is right by the sidewalk so there’s ample opportunities to salivate while waiting for the Queen streetcar.